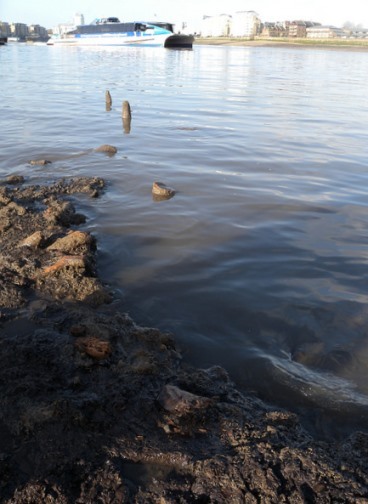 We’ve had some exciting results back from the results of sampling of two timber structures on the foreshore at Greenwich Palace. 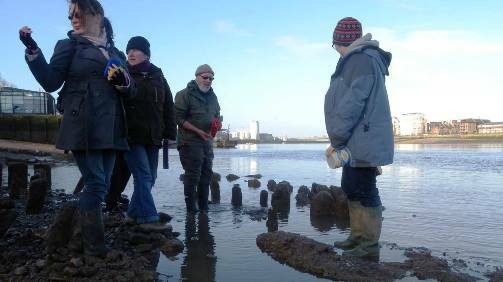 As we suspected, two structures which only appear at the very lowest tides have returned Anglo-Saxon dates from radiocarbon analysis – which means we have two confirmed fishtraps of this period in the Greater London area. These at Greenwich are the furthest downstream we’ve yet recorded. 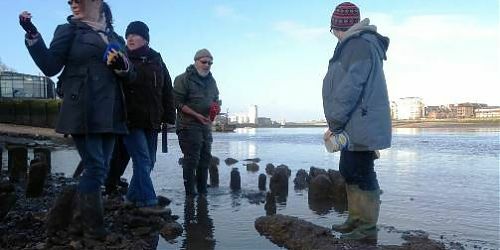 One sample was taken from each trap; the first from a line of posts which are truncated by the piles of the large Tudor jetty, and the second from a similar feature just downstream. Both structures are mid-late Saxon in date; with one sample dating to AD856 +/-34 and the other to AD900 +/-33. It seems likely that these are two separate structures, possibly functioning contemporaneously, or with one replacing the other in a very short space of time, as we have also recorded at Chelsea. 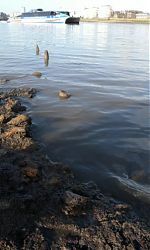 For more about Anglo-Saxon fishtraps in London, have a look at our Riverpedia article here, or for more detail on the early Saxon examples, there’s an article online here.